Lt. Gen. Michael Lundy took over as commanding general of the Army Combined Arms Center and Fort Leavenworth, Kansas, and commandant of the Army Command and General Staff College on June 1, 2016. Lundy was commissioned a second lieutenant upon graduation from McNeese State University in 1987 and was sent to Fort Rucker, Ala., for helicopter training. After completing that, he was sent first to Germany, then to Iraq for operation Desert Shield and Desert Storm. In 1991, Lundy went through the armor officer’s advanced course and cavalry leader’s course before being sent to Haiti for Operation Support Democracy in the wake of the coup that toppled President Jean-Bertrand Aristide. 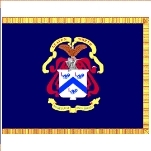 Lundy was then sent to Fort Irwin, California and in 1998 to the Command and General Staff College. After that, he went to Fort Drum, N.Y., as 1-10th Attack Battalion executive officer and was deployed to Bosnia. Following the 9/11 attacks, Lundy was sent to Afghanistan as a deputy leader of a special operations unit. In 2003, Lundy was deployed to Schofield Barracks, Hawaii, as commander of 1st Battalion (Attack), 25th Aviation Regiment, which was sent to Iraq. After that deployment, Lundy was the operations group senior aviation observer controller at the Joint Readiness Training Center in Fort Polk, La. In 2006, he attended the Army War College, and in 2008 he assumed command of the 25th Combat Aviation Brigade, which was deployed to Northern Iraq. In 2010, Lundy was made deputy commander (rear) of the 25th Infantry Division in Hawaii and then deputy commanding general of the 1st Armored Division at Fort Bliss, Texas. Lundy was sent in 2012 to Fort Leavenworth as deputy commanding general of the Combined Arms Center-Training. He advocated for a Star Trek-like “Holodeck” training system for soldiers. Beginning in 2014, Lundy was put in charge of Army aviation, stationed at the U.S. Army Aviation Center of Excellence at Fort Rucker. While there, he said the Army should de-emphasize drones and put more resources into manned aviation. Lundy and his wife, Paula, have two daughters.